Abuse of civil asset forfeiture laws can harm law enforcement's vital relationships with communities, especially at a time when their activities are coming under heightened scrutiny. Realizing this, the Michigan Association of Police Organizations has endorsed a package of eight reform bills working through the Michigan Legislature that would overhaul the state's civil asset forfeiture laws to provide more protections for innocent property owners. In a recent FreedomWorks' publication, Civil Asset Forfeiture: Grading the States, Michigan received a "D" for its current civil asset forfeiture laws. While the burden of proof, unlike most states, does fall on the government, the standard of evidence to forfeit property is far too low. With several examples of abuse of the laws circulating in the media, Michigan House Republicans made reform a priority very early in the legislative session. The package of reforms passed the Michigan House of Representatives in June by mostly overwhelming margins. The package includes legislation to raise the standard of evidence required of the government to subject property to forfeiture from "a preponderance of evidence" to "clear and convincing evidence" and heightens transparency and uniformity in state civil asset forfeiture laws. In a statement released on Thursday, the Michigan Association of Police Organizations, a group representing more than 10,000 law enforcement officers, endorsed the proposed reforms. "MAPO supports passage of the Uniform Forfeiture Reporting Act and the Civil Asset Forfeiture revisions that are part of House Bills 4499-4500 and House Bills 4503-4508," MAPO President Richard Weiler and Vice President Michael Sauger wrote in a statement. "Law enforcement works best when working in partnership with the communities being served. Any enforcement activities viewed as 'policing for profit' do unnecessary damage to that important relationship." While they defended civil asset forfeiture as a tool "to attack illegal behavior," Weiler and Sauger called the package "a reasonable, measured approach to improving transparency in forfeiture activities and diminishes the 'policing for profit' perception that has attached to this issue." "Please add our organization to the list of those supporting this legislative effort," they added. 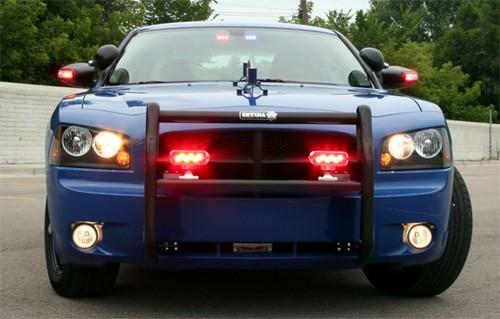 The Michigan Association of Police Organizations' backing comes at an important time. The Senate Judiciary Committee, chaired by Sen. Rick Jones (R-Grand Ledge), has stalled on the package of reforms. Last month, Jones, who has a law enforcement background, conceded that "some reforms are needed," but he demurred on action. "I want to sit down with the Attorney General and go over each bill," he said, "and make sure we accomplish what the purpose of the bill is." Fix Forfeiture, of which FreedomWorks is a partner, praised the news. "Today, we welcome an important ally to the effort to reform civil asset forfeiture laws in Michigan. Fix Forfeiture applauds the MAPO endorsement of the reform bills moving through the state legislature," Holly Harris, executive director of Fix Forfeiture, said in a release. “This well respected law enforcement organization understands that in a democracy, there is always a need to improve aspects of our criminal justice system and is supportive of this approach to improve transparency." "We are encouraged by their public support and are grateful for their service to the people of Michigan. We will continue to reach out to law enforcement across the state to work hand-in-hand with them to pass reform," she added. The package of reforms may not be perfect, but they are a step in the right direction. Michigan is on the cusp of doing something meaningful to protect innocent property owners from government overreach. It is great to see such a prominent law enforcement organization throw its weight behind this worthy effort to fix Michigan's civil asset forfeiture laws.